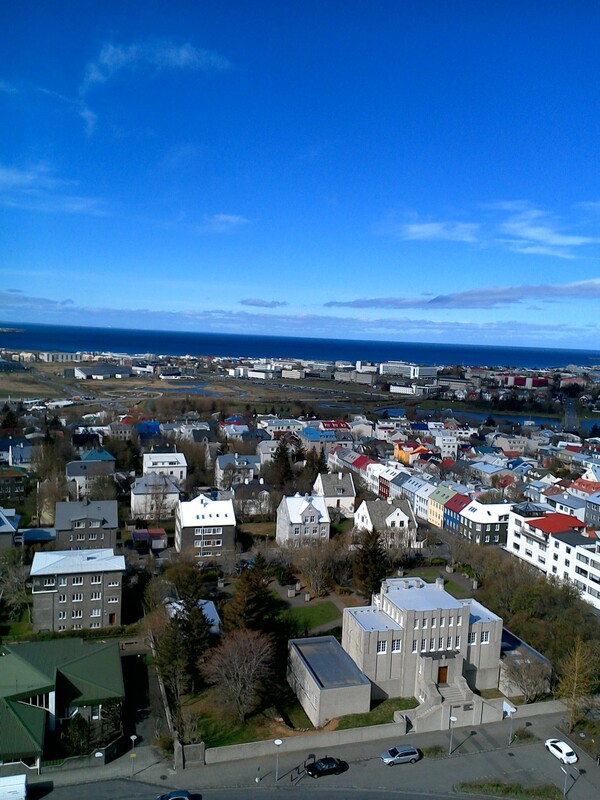 Reykjavic is a small city (120,000 people) that is located in the south-west region of Iceland. Flights arrive into Keflavik airport and Reykjavik is a quick 50-minute-bus-shuttle away. The town itself only takes a day or two to fully explore, however most people come to Iceland to see the beautiful natural landscape! 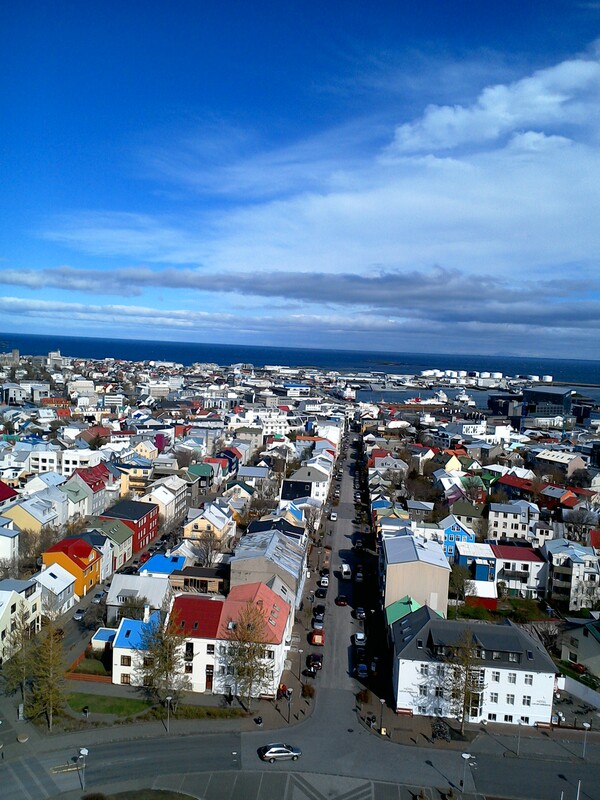 But first, lets take a peek at the city of Reykjavik. 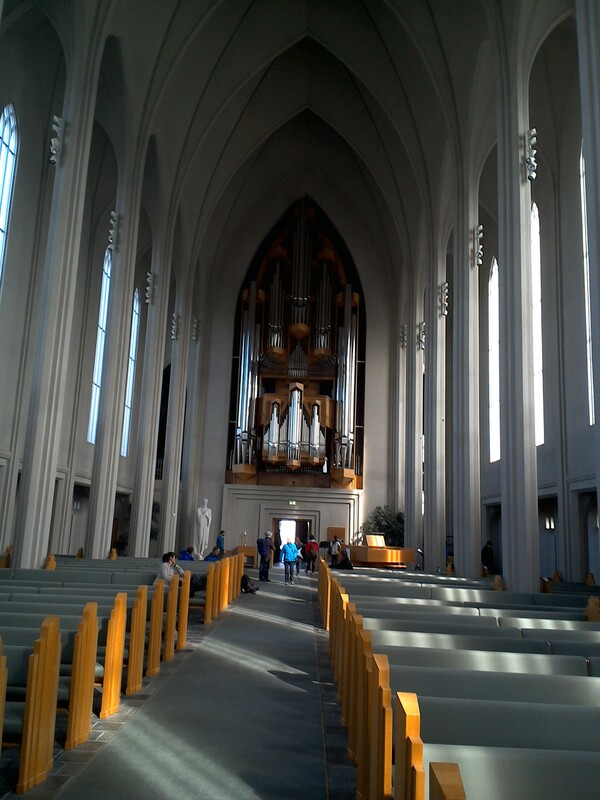 Reykjavic is the cultural, economic and governmental hub of Iceland. 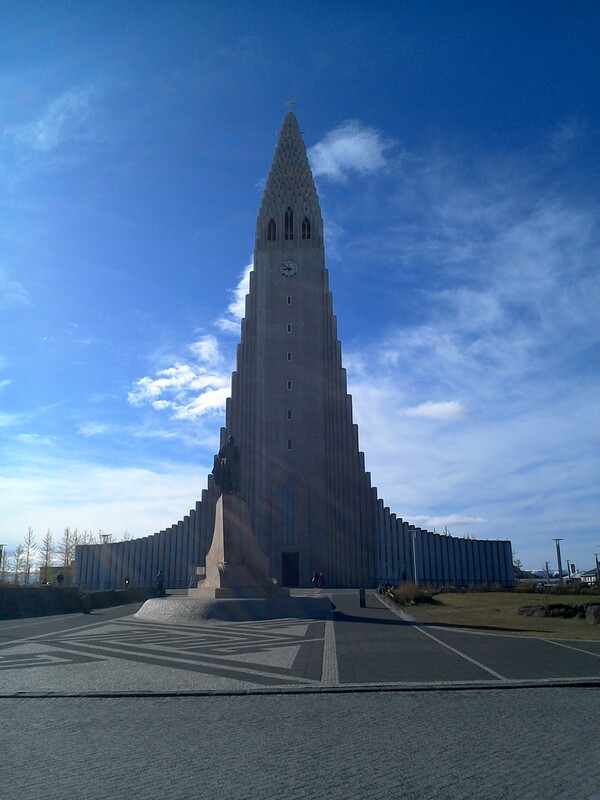 However, other than visiting the largest church in the country (pictured above) and roaming around the beautiful, well-kept streets, there isn’t a multitude of things to see/do. 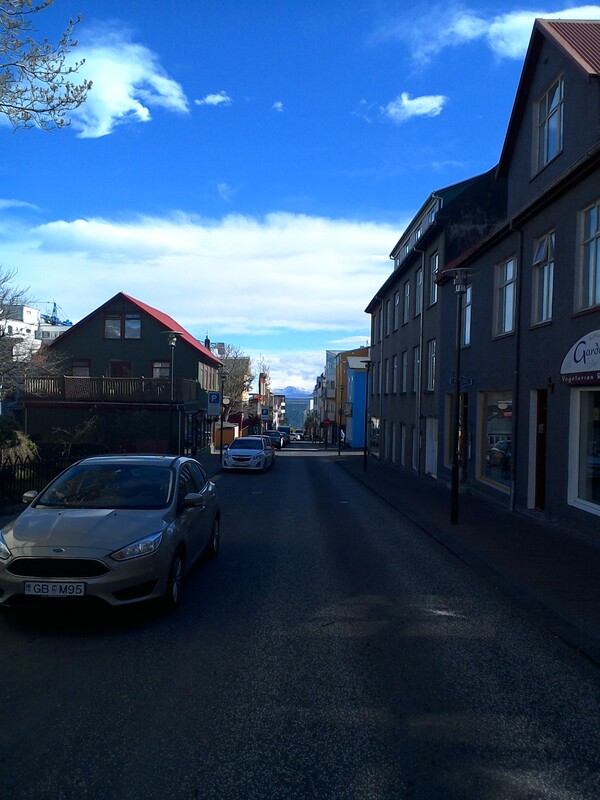 This isn’t to say Reykjavik isn’t worth visiting, as it’s a very charming city. I would recommend spending only 1 or 2 days in the city and focus your remaining time exploring the waterfalls and geysers. – the amount of wind on a daily basis is staggering. Without a doubt, I would consider Iceland to be the windiest place I’ve been to. 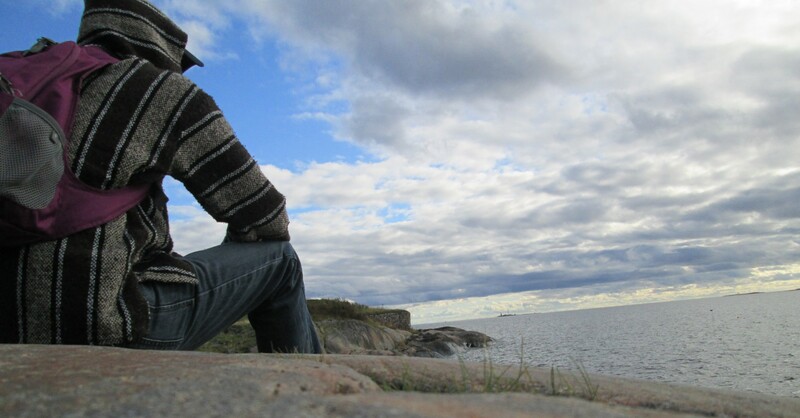 – in the summer months there are 20-24 hours of daylight each day, culminating on June 21st when the sun does not set. 2) rent a car and go exploring yourself. I opted for the cheapest tour (still 65$ cdn) yet was somehow grouped in with the regular 89$ golden circle tour, the most popular tour in Iceland. Pretty sweet deal! The English guided tour takes a bus full of passengers for 6-and-a-half-hours to an amazing waterfall and spectacular geysers. On the way you will see the vast, untouched landscape and pass by numerous horses and sheep roaming around the countryside. Much of the terrain is volcanic rock and it looks like what I’d image the surface of Mars to be. It’s simply awesome to see! 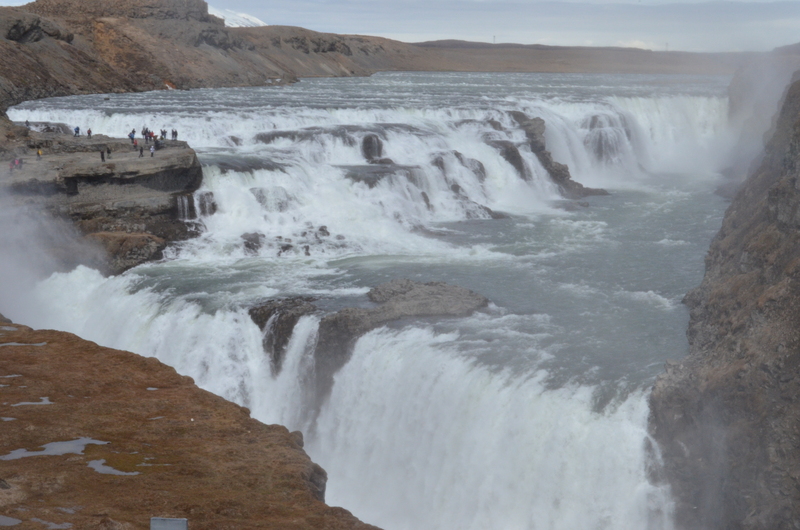 *above is the gulfoss waterfall, the second largest in Iceland. Although Iceland is extremely expensive and the wind is relentless, this country definitely exceeded my expectations. It’s a fascinating, desolate place with an incredible landscape that is waiting to be explored!